Submitted by Kstudio on Tue, 2011-03-01 07:23. Submitted by simmsimaging on Mon, 2011-02-28 21:53. So far the script seems great! 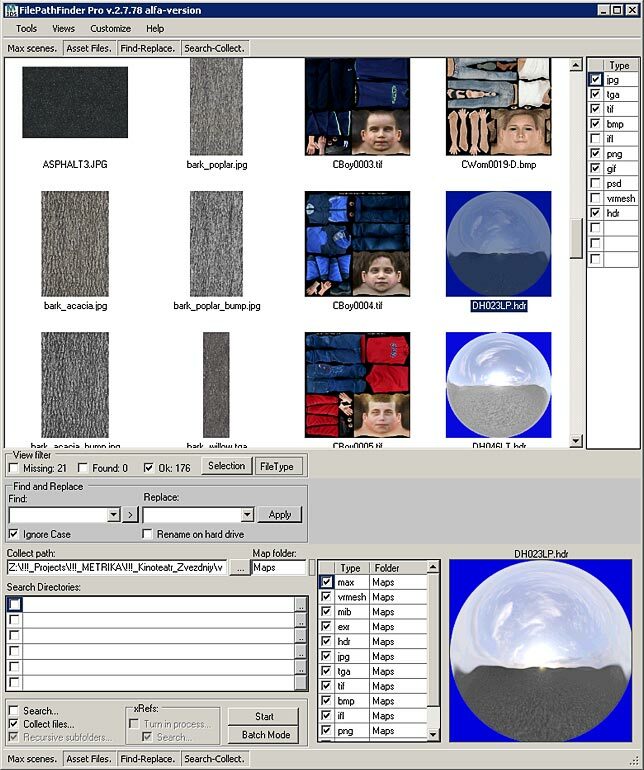 I seem to remember in one of the videos that it was possible to select a texture in FPF Pro and replace it with another one (which I supposed would replace all instances in the file?). 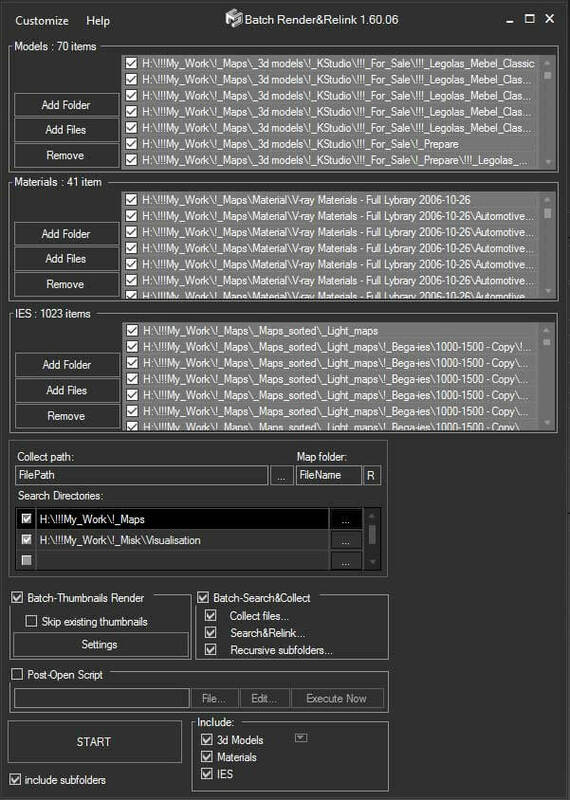 I can't seem to do it - although there is a greyed-out option called "replace selection" in the right-click menu for all the textures in my current scene. Is there a trick to enabling it, or am I just wrong about what it is for? Submitted by Kstudio on Fri, 2010-07-23 10:19. And nice proposition - welcome to Odessa, Ukraine! Submitted by Francisco Hermida on Mon, 2010-07-05 21:38. Submitted by Kstudio on Sun, 2010-05-09 15:30. Submitted by KOKEKO on Thu, 2010-04-29 05:04. Submitted by Kstudio on Tue, 2010-04-27 15:36. I found and fix a problem due to a bug in Max 2011 with decimal divider. Thank the harum.scarum for helping. Submitted by Kstudio on Fri, 2010-02-12 01:55. Here you can view the latest screenshots of a future version of FilePathFinder Pro. Due to the visual presentation of data will be easier to work with the scene. Submitted by philhxc on Thu, 2010-02-11 13:03.
just bought it and its worth every penny! Submitted by Kstudio on Mon, 2010-01-11 04:36. The new version of FilePathFinder Pro in development. Alfa version of FilePathFinder Pro. Image preview list and other.